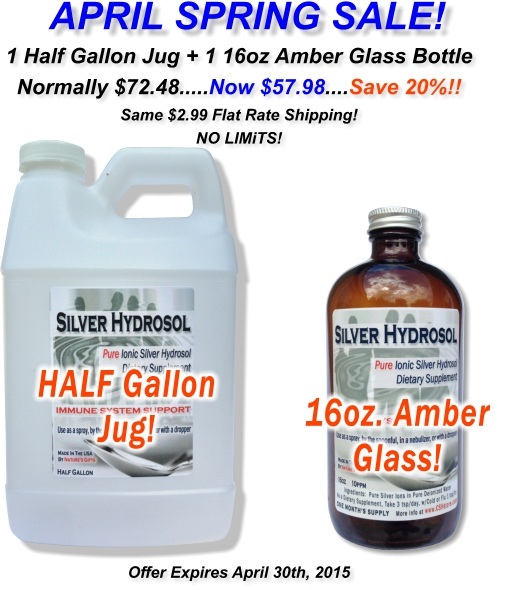 Colloidal Silver Hydrosol Spring Sale Special Offer! Exclusive Deal for our Newsletter Subscribers! We greatly appreciate our customer friends and offer this sale as our "THANK YOU!" for your support of our common goal to support healthy living! Please browse our site for any information you may need about each product. Please contact us with any questions. Thanks again!